Game 5, second round … sixth lifetime playoff matchup between the two teams, and the third in the last four seasons … the Tips can advance to the Western Conference Final for the third time in franchise history with a win tonight … the Silvertips defeated the Seattle Thunderbirds, 4-1 in the first round … Portland defeated Spokane, 4-3 in the first round … the Silvertips went 5-5-0-0 in the season series against Portland … they went 22-12-2-2 against opponents from the U.S. Division this season … the series features 12 players between the teams that have either been drafted or signed by NHL clubs … the Tips last won a Game 5 situation in the first round of the 2018 WHL Playoffs, vs Seattle (4-0 victory). The Silvertips welcome back alumnus, defenseman, and special guest Noah Juulsen to downtown Everett … Juulsen suited up for the Silvertips between 2012-17 and made his NHL debut with the Montreal Canadiens this season. 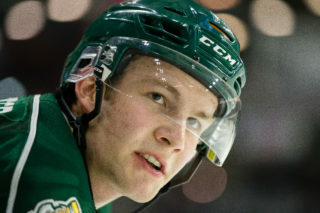 The Silvertips are 8-7 lifetime in Game 5 situations … they are 5-3 in Game 5 situations at home … it is the 18th time they are playing in a game where they have forced elimination – they are 11-6 in games where they have an opportunity to advance … the last time out when forcing an elimination situation and in Game 5 was in the first round, a 4-0 win over the Seattle Thunderbirds in downtown Everett. 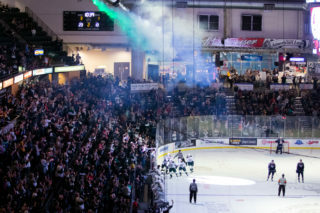 PLAYOFF PRIMED: The Silvertips have reached the WHL Playoffs for 15 consecutive seasons, extending a current WHL record streak … the Tips went 18-7-2-3 in 1-goal games in the regular season and 22-12-2-2 against opponents from the U.S. Division. 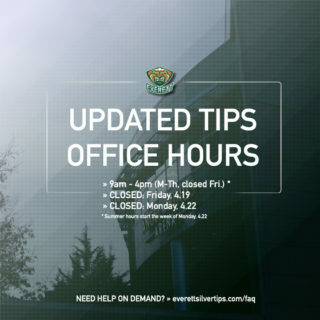 TORRID TIPS: The Tips won 37 of their final 48 games … they scored a franchise record 246 goals … the Silvertips had 5 games of scoring 8 goals or more in the regular season … for the first time in franchise history, they boasted seven different 20-goal scorers on the roster, led by Connor Dewar (38). 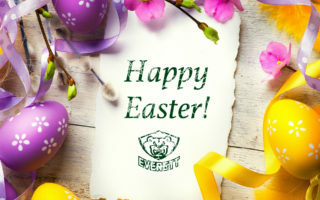 ONTO THE ELITE EIGHT: The Silvertips have advanced to the second round for the fourth consecutive year … they are in search of their third trip to the Conference Finals in franchise history. HART OF THE MATTER: 19-year old Carter Hart, three-time reigning Silvertips MVP and back-to-back WHL Goaltender of the Year, led the WHL in both goals-against-average (1.60), save percentage (.947) and shutouts (7) … the Philadelphia Flyers prospect was named Western Conference Goaltender of the Year for the third straight season on Mar. 21 … he is in his in his 4th season with the Silvertips, the franchise leader in wins (116) … He was named WHL Goaltender of the Month (March) and CHL Goaltender of the Week (ending Apr. 1). 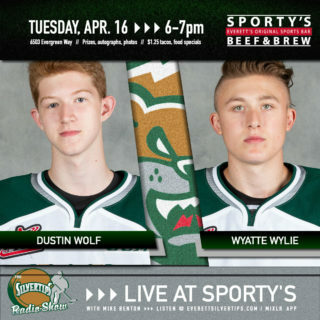 SPREADING IT AROUND: The Silvertips have scored 33 goals in the first nine games of the playoffs … 18 players have registered at least a point … 13 different Tips players have recorded a goal.